This coming Saturday 8th August is National Bookshop Day—and that means author events! Woohoo! 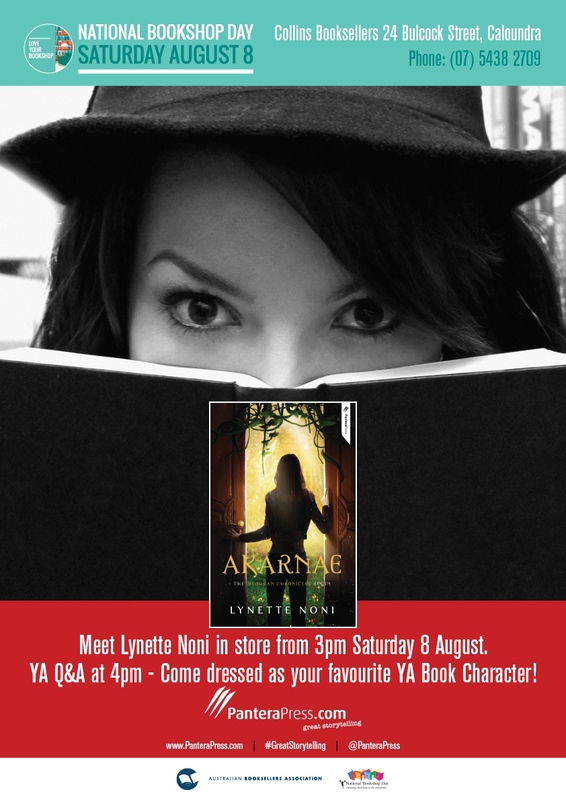 I’m actually visiting two different bookstores for Q&As, signings, and fun chit-chat: one in Brisbane and one on the Sunshine Coast. So if you’re in South East Queensland at either of those places on Saturday, I’d love for you to drop in and say “hi”! 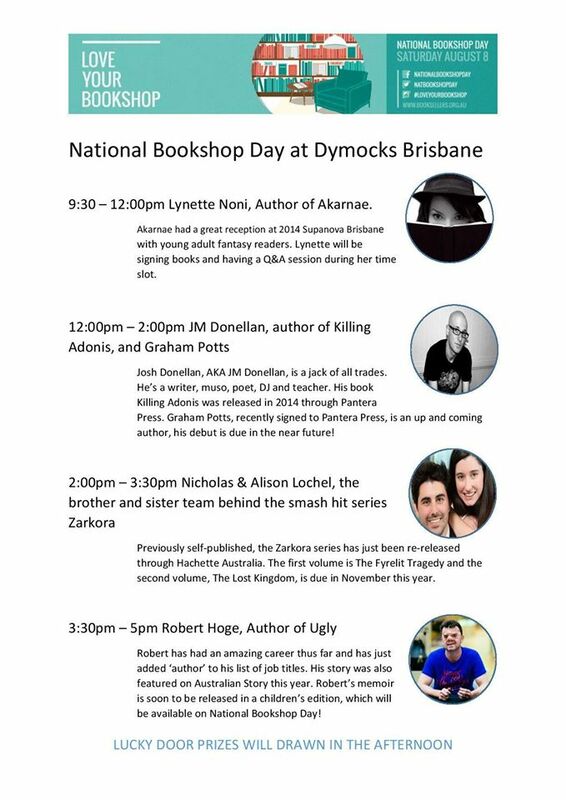 For the Sunshine Coast event, I’ll be at Collins Booksellers in Caloundra from 3:00-5:00—and as you can see in the flyer, this includes judging of the “best dressed” competition, which should be fun!